Combine sugar cube, 5 dashes of bitters, and lime juice in a stirring beaker and muddle. Add apple brandy and Benedictine with ice and stir. 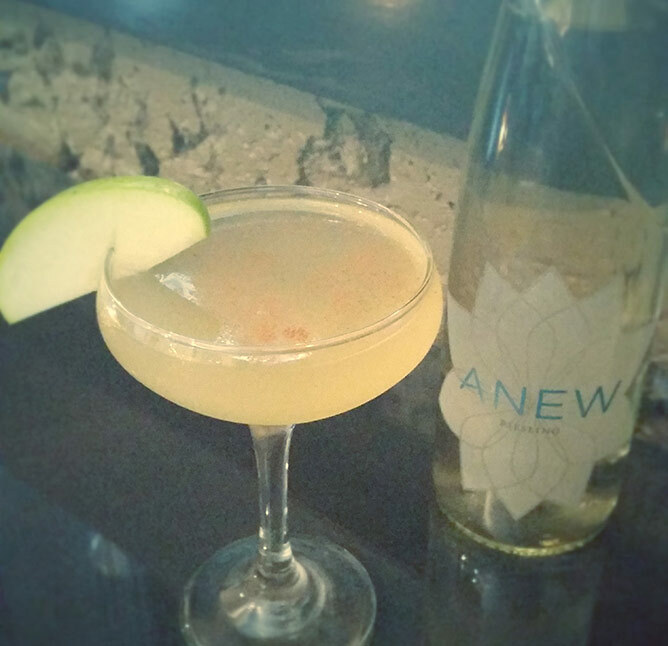 Strain into a chilled coupe and top with ANEW Riesling. Garnish with Apple slice and cinnamon powder sprinkled over a flame on top.